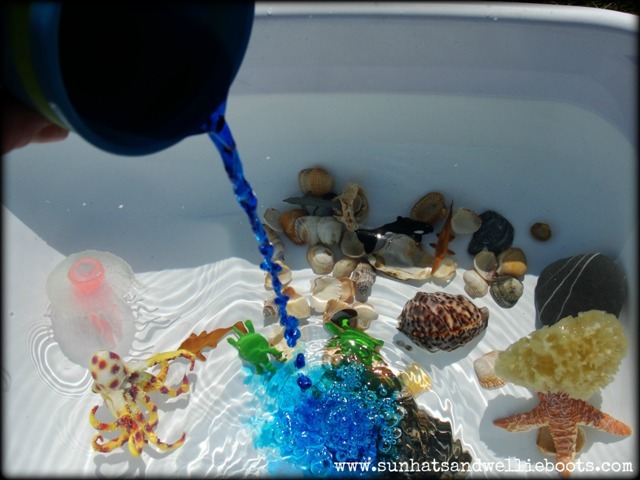 Sun Hats & Wellie Boots: How to make your own ocean! 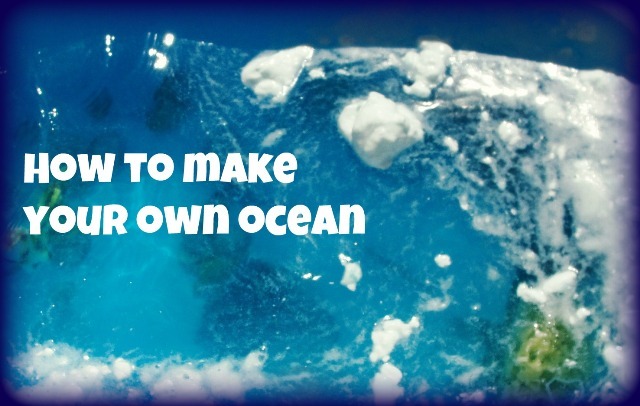 How to make your own ocean! Unable to get to the beach? Why not create your own ocean in your backyard. Here's how we made ours. 1. Fill a large container or bath with water. 2. 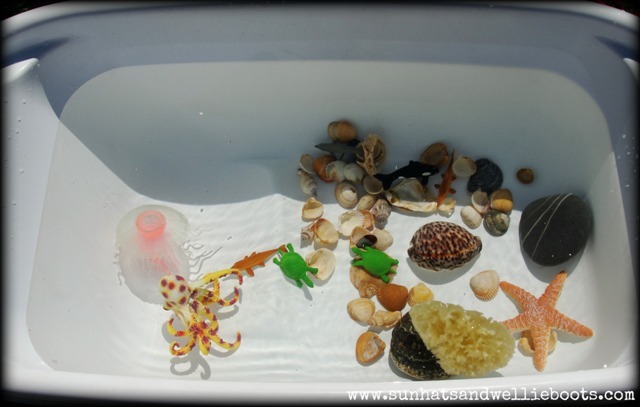 Add a few ocean themed objects; shells, pebbles, natural sponges, sea life figures. 3. Pour in a cup of blue water (a couple of drops of blue food colouring mixed with water) & watch the colour swirl! 4. 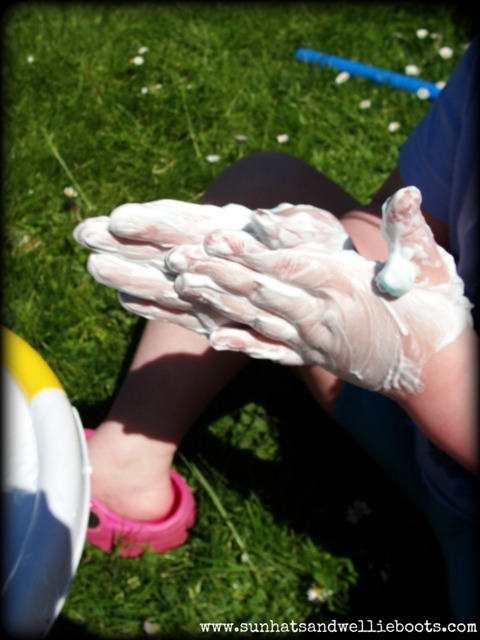 Rub a a handful of shaving foam in your hands & add it to the water to create some surf! 5. Mix well... with plenty of splashing! 6. 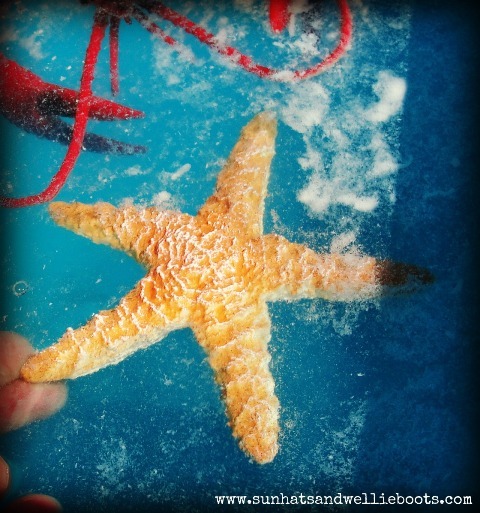 Explore the sea creatures in your ocean. 7. 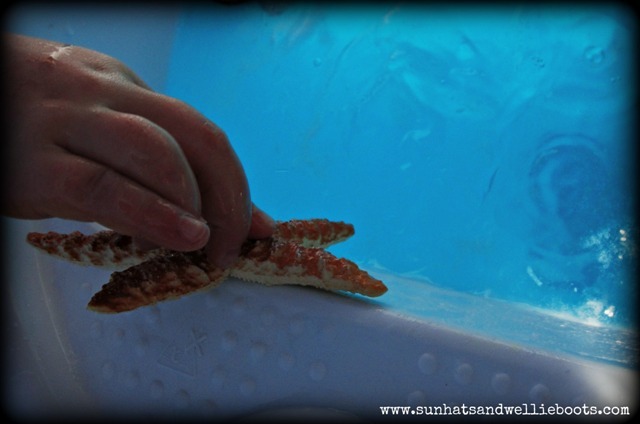 Questions you could consider: What has happens to the natural sponge in the water? What sinks floats? I wonder what the different creatures eat? I wonder how they move in the water? Which creatures just live in the ocean & which live on the land as well? I wonder what their underwater homes look like? What shapes do the creatures / items look like? How many legs, claws, fins do they have? What would happen if lots of plastic / rubbish got tipped into the ocean? (plastic netting, or black coloured water could be added to explore with the creatures) How does that make you feel? How can we look after our oceans? 8. Optional - Go for a paddle in the water! 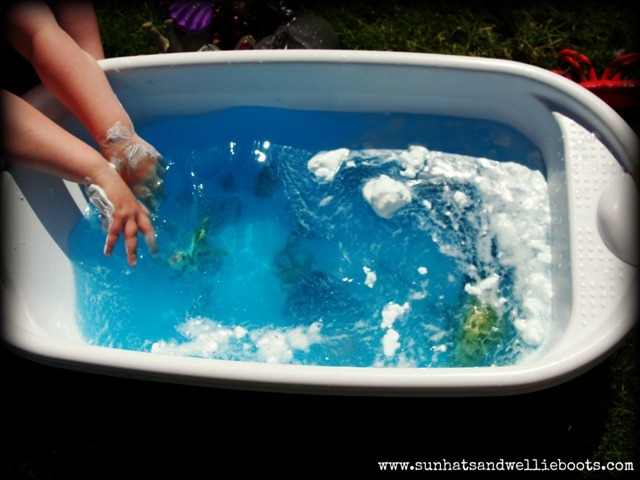 An activity full of sensory & imaginative play, with lots of discovery! To find out more about our amazing oceans check out World Oceans Day & School of Fish.